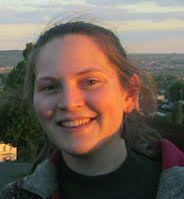 Theresa Theuretzbacher studied Water Management and Environmental Engineering at the University of Natural Resources and Life Sciences, Vienna. She gained experience in solving problems of specific local water, waste and sanitation challenges in several projects in rural Ghana, Alaska and DR Kongo. In Ghana she proposed a sustainable village development plan and collaborated on the implementation of a solar powered water supply system. The Project was awarded with the Bauhaus Solar Award (distinction) and the National Energy Globe Award Ghana. She is currently based in Norway and is working for the Climate Foundation as an environmental engineer in the human waste management sector, involved in projects in Alaska and India. Within the North American Partnership on Environmental Community Action Grant and the Alaska Water and Sewer Challenge she was involved in the development of a proposal for innovative and affordable water and sewer systems including a concept design of a Biochar Sanitation System for homes in rural Alaska.